Recently my daughter asked me to buy ready cooked meatballs from the supermarket to have at home as a snack. After strolling around in the supermarket looking in the deep-freezers and the fresh food corner we found some, made from pure beef and no artificial flavors. 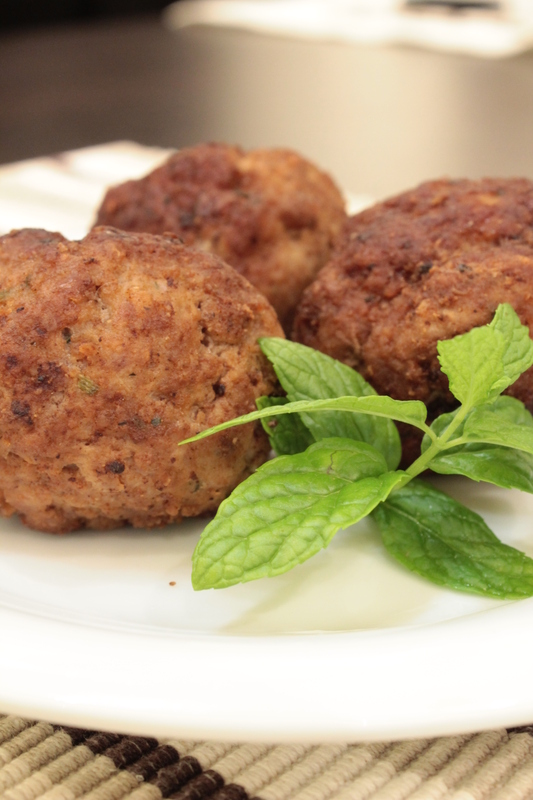 Most ready to eat meatballs were made from pork meat, mixed with beef fat or poultry meat – not very convincing. Trying out at home we realized the meatballs from pure beef were really tasty. Almost like homemade. As I am not a big fan of convenient food I told her that I will make her some myself. As usually I first studied the ingredients list before throwing away the box. Except of minced meat I had everything at home… with the result that my daughter liked the homemade meatballs even more than the ones from the supermarket. In a blender combine the toast, onion, garlic, paprika and spearmint and blend well. In a bowl combine the minced meat with all ingredients except the olive oil and knead well until well combined. In a pan heat the olive oil on high. Form with wet hands meatballs of the size of a ping-pong or golf ball. Fry in the pan on medium heat from each side until nicely browned and cooked from inside. Previous Post Carnivore vs. Vegetarian vs. Vegan?